The weather has turned super hot here in KC and the best way for me to stay cool is to find the perfect summer dress! My friends @Jolly's always have the best trendy pieces and the perfect dresses. 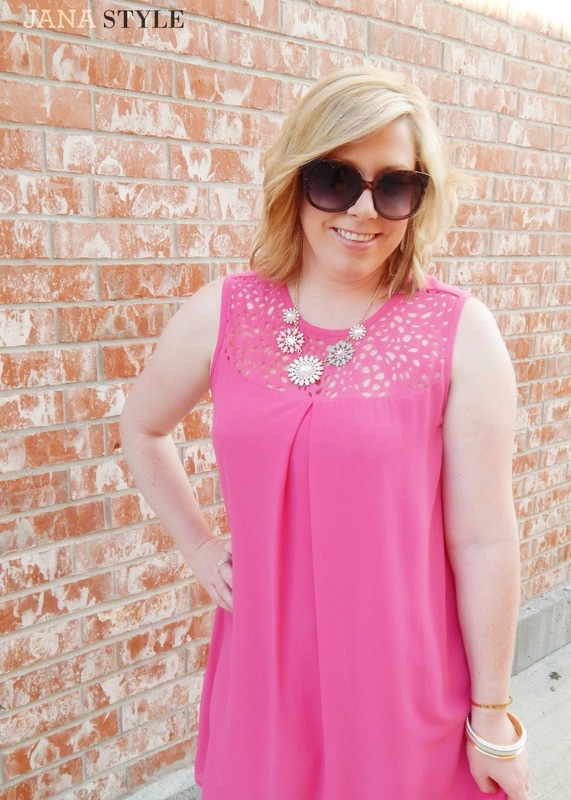 I stopped by their fun downtown Lee's Summit boutique last week for their Ladies Night Out Event and scored this pretty pink number! It's going to be a favorite for the summer! It was so, so hot here this weekend! I guess this is what I get for complaining about the cold a few months back ;) I wish we would have met up at Boulevardia! I hope your summer is off to a great start! This reminds me of why I love the color pink! It's just the happiest color and it looks beautiful on ya! Oh I love this dress paired with those metallic wedges -- it's fun and dressy for summer but still comfortable!! Summit Fair : Printed Beach Shorts!